Facts About Microflora Figure 2. From farmers markets and monthly produce box deliveries to skin care and now even cosmetics, superfoods are still having a major moment. We continue to proudly fill our grocery carts and tummies with acai bowls, chia seed puddings and hemp bars. The feeling good and eating better, and what-must-be-good-for-the-body, must-be-good-for-our-skin movement shows no sign of slowing down. It might just take the upcoming nuptials of a certain British prince and an American T.V. star to pull us away from our superfood consuming, posting, ‘gram-ing obsession. So just how big is the food-to-face trend? Modern consumers equate beauty with good health; the popularity of the beauty-from-within trend is influenced by current food and drink ingredient trends. Younger consumers ages 18 to 34 are purchasing 35% more natural and organic personal care than in the past. As my nurse, bit of a hippy mom likes to say, “You are what you eat.” We all know this is true, but it is especially accurate when it comes to our skin. Today, we have the distinct advantage of being able to layer on skin-friendly, health-boosting nutrients, too–improving the skin both inside and out–and nothing packs a more powerful nutritional punch than superfoods. Superfoods are nutrient dense, antioxidant-rich natural foods that are minimally processed and can be easily absorbed in the body when consumed. Just as your body needs a healthy balance of nutrients for optimal health, so does your skin. Superfoods are rich in antioxidants, omega fatty acids, vitamins and minerals. They nourish the skin for pure skin vitality, while locking in moisture. Here are some superfood, supergrains and supergreens showing up in skin care. This has always been grown for food purposes, as it is a rich source of nutrients and antioxidants. 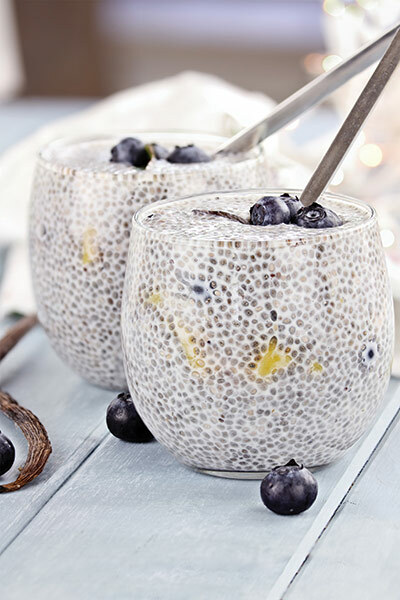 Traditionally, chia was a staple in the Aztecs’ and Mayans’ diets. It was identified as a source of energy, endurance and strength in extreme situations. It is rich in essential fatty acids omega-3 and omega-6 (see Oh Omega! figure), helping to hydrate and protect the skin’s moisture content. Its phytosterols have a chemical structure close to cholesterol that comprises our inter-corneocyte cement and sebum. Therefore, it enhances stratum corneum cohesion and improves the protective hydrolipidic film of the skin, reinforcing the skin’s moisture barrier function. Wheatgrass can be traced back in history over 5,000 years to ancient Egypt. It is claimed that ancient Egyptians found the young leafy blades of wheat sacred, prizing them for their positive effect on health and vitality. Like most plants, wheatgrass contains chlorophyll, amino acids, minerals, vitamins and enzymes. No surprise here why wheatgrass supplements and shots are so popular today. In skin care, this extract is used to refresh and revitalize the skin. There’s a reason why we want kids to eat broccoli. Broccoli is unique because of its powerful antioxidant combination and 3, 6 and 9 omega fatty acids. Broccoli seed oil is light, non-greasy and easily absorbed, forming a protective layer that helps to trap in moisture and keep skin hydrated. It should be cold pressed to retain the highest levels of its nutritional value. Broccoli seed oil nourishes the skin, leaving it looking radiant and glowing. This leafy green is a nutrient knockout with an abundance of skin benefits. Raw kale is a rich source of vitamins A, C, B6 and K as well as manganese. It is also a rich source of phytochemicals such as carotenoids, lutein and zeaxanthin, which have antioxidant properties. It’s all these nutrients that make kale one of today’s superstars in the superfood world. It is also known for detoxification, flushing out toxins from the pores and simultaneously helping skin stay hydrated. 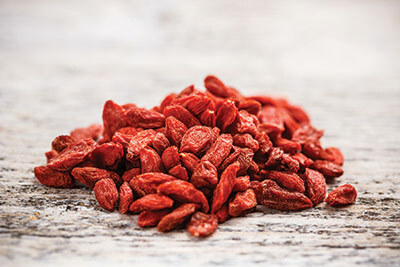 Goji berries (lycium Chinese stem extract) are rich in vitamins C and B, minerals, polysaccharides and many other bioactive compounds. They have been rapidly gaining attention for their nutrient value and antioxidant activity. The fruits have been termed a super fruit. In vitro, they have shown antioxidant activity by inhibiting reactive oxygen species (ROS), as well as soothing the skin. It has also been shown in vivo to reduce wrinkles (tested on 22 female volunteers aged between 35 and 55 who applied a cream containing 2% lycium Chinese stem extract twice a day. So, beyond smooth, soothed and plumped skin, use this ingredient and look forward to less wrinkles. Matcha contains small amounts of various vitamins and minerals, but is mostly prized for being rich in polyphenol compounds called catechins, a type of antioxidant. Because matcha is made from ground whole tea leaves, it is a more potent source of catechins than standard green tea, which is consumed as an infusion, with the leaves discarded. One study found that matcha contains three times more of an antioxidant called epigallocatechin gallate (EGCG). One cup of matcha is equal to about ten cups of green tea. Its antioxidant power helps to reduce puffiness and improve the visible signs of damage caused by the environment, for smoother skin. 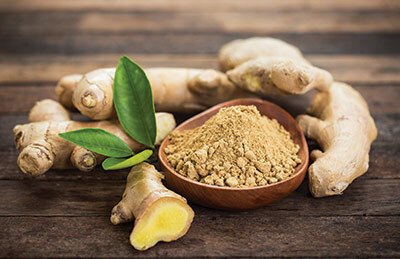 Ginger, which originates from Southeast Asia, has been used as a traditional medicine in ancient Chinese and other Asian countries for more than 1,000 years. Ginger or ginger root is the rhizome of the plant Zingiber officinale, consumed as a delicacy, medicine or spice. This ingredient has been shown in vitro to have both an antioxidant effect and inhibit melanin synthesis. Apply ginger if you want a brighter, dewy and radiant glow. Considered the mother grain of the ancient Incas, Chenopodium quinoa chenopodiaceae (quinoa) is best known as a staple ingredient, particularly for its edible seeds. Mainly cultivated in the South American Andes Mountains, quinoa has been an important source of nutrition in the region for 6,000 years and revered as sacred. Quinoa is considered to be a complete protein, containing all eight essential amino acids. It also has film forming and moisture retention benefits to help the skin feel nourished and hydrated. Coupled with superfood ingredients, much like your favorite yogurt or kombucha drink, you might find probiotics or today’s newest ingredient darling, prebiotics. Probiotics introduce good microflora (microoganisms) to an ecosystem (skin, body and gut). They are live bacteria. Conversely, prebiotics act as a food source, capable of enhancing populations of beneficial microflora (see Facts About Microflora figure). It is effectively a fertilizer or food source for microbes, selectively stimulating the growth and metabolic activity of specific bacteria. By helping the good microflora grow, we can influence the good-to-bad microflora ratio for a more balanced and well-maintained skin microbiome. The microflora is the first line of skin defense against environmental stresses that can harm skin vitality. It’s crucial to keep the microflora balanced for good skin health. You’re probably wondering how this relates to skin care products and what should you look for on an ingredient label? Gluco-oligosaccharides are obtained from the natural sugars sucrose and maltose.10 In vitro studies have shown that to stimulate the growth of beneficial resident flora, the beneficial bacteria out compete the detrimental bacteria, making it harder for them to become problematic. So, we could basically say that prebiotics are superfoods that make probiotics stronger and more powerful. Don’t limit superfoods to the fridge. They have immense benefits when used in skin care formulations, applied topically. Add these nutrient-packed, glow-boosting actives to your professional treatments and your clients daily skin care routine for a skin that looks fresh, vibrant and super healthy. 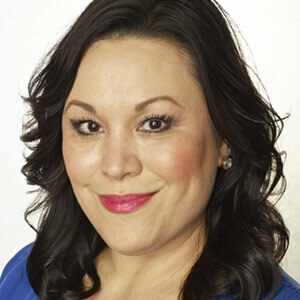 Annet King is vice president of global education for Elemis, where she develops the brand’s global education and establishes its Education Hubs and Training Academies across the United States. This article appeared in the May 2018 issue, see what else was in this issue's digital edition. Omega fatty acids, like omega-3, omega-6 and omega9, make a huge impact in healthy-looking skin. Microflora can be good and bad, but it can positively impact the skin.